Mr. Goodman has been a dedicated supporter of Little League® Baseball and Softball for more than 45 years. Each year, Little League® International proudly awards one of its most dedicated supporters with the W. Howard Hartman Little League Friendship Award, and there is nobody more deserving of this year’s award than former California District 35 Administrator, Don Goodman. Mr. Goodman began his Little League career in 1971 when he signed up to become a coach for his son’s baseball team in his hometown of Cloverdale, Calif. More than 45 years later, Mr. Goodman remains dedicated to volunteering with Little League Baseball and Softball and recently concluded his service as a District Administrator in California District 35. 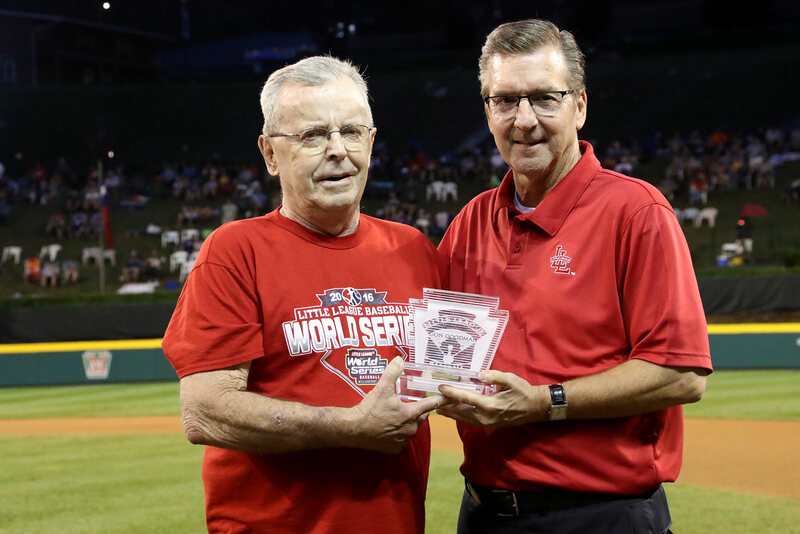 In addition to all his responsibilities at the local and district level, Mr. Goodman has been a dedicated supporter of the Little League Baseball® World Series since 1986 when he signed up to be a World Series volunteer. Throughout his time volunteering in Williamsport each August, Mr. Goodman has taken on nearly every job a volunteer can possibly handle, from stuffing programs his first year to his most recent position in charge of game balls for each of the World Series games. No matter the task that is assigned to him, Mr. Goodman is always ready to step up and help out to make sure that everyone around him has a memorable and enjoyable Little League experience. During his time as a Little League volunteer, Mr. Goodman has met some of his best family friends and has forever remained one of the most dedicated supporters of the Little League Baseball and Softball program over the years, making him well deserving of receiving this year’s award. The W. Howard Hartman Little League Friendship Award was created in 1988 to honor W. Howard Hartman, one of Little League International’s most generous and loyal friends. The award is presented annually to an individual or organization who has demonstrated a similar relationship with Little League.